As part of the biodiversity observatories, LifeWatch operates several sensor networks for observation of tagged animals. As the networks are operational and being used by several tagging projects, the number of tagged species observations grows continuously. The given number is a calculation based on both the GPS tracking network for large birds and the fish acoustic receiver network. 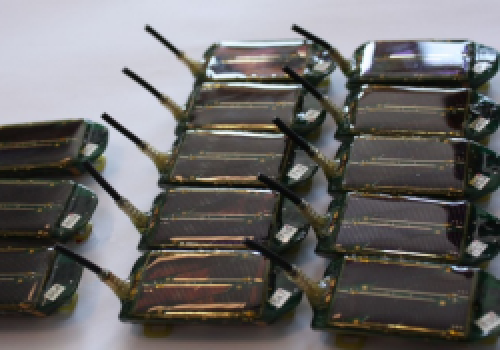 The birds are tagged with lightweight, solar powered GPS trackers that periodically record the 3D position, air temperature and body movements. The data are stored on the tracker, until these can be transmitted automatically and wireless to a base station using the built-in ZigBee transceiver with whip antenna. The spatial range for this communication is restricted to the location of the base station (or antenna network), which is placed near the colony. Data cannot be retrieved from birds that do not return to the colony with the base station. Fish are tagged with acoustic transmitters. This type of transmitters sends out an acoustic signal (pulse train) at a specific frequency on a predefined time delay. 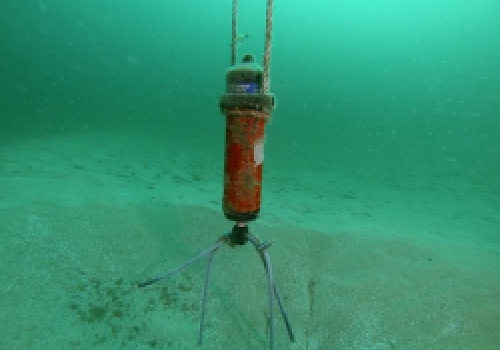 The acoustic receivers, installed at many locations in the Belgian Part of the North Sea, the Western Scheldt and several rivers in Belgium, listen to this frequency and recognize the unique ID-codes. Information is stored on the receiver with a time-stamp. Currently only acoustic tags are used for fish in the LifeWatch Observatory. In the near future, other telemetry techniques will be included. Discover why and how large birds are tagged with lightweight, solar powered GPS tags. Learn more about the tagging of migratory fish in the Belgian coastal area and the Western Scheldt.